Australian travellers are losing an average of $448 a year while holidaying abroad on avoidable money drainers including dining out at pricey tourist hotspots, poor exchange rates, mobile phone roaming charges and overseas medical treatment expenses, according to Mozo.com.au. Research by the financial comparison site found that the costliest holiday money trap is dining in overpriced cafes and restaurants situated around the main tourist attractions. 1 in 4 Aussie travellers admitted to paying a premium for drinks and meals at tourist hotspots, adding around $380 to their annual holiday bill. “Overpaying for a meal or putting up with poor exchange rates can seem fairly minor at the time but the reality is these money leaks can add up over the course of a holiday. We found the average overseas traveller has blown over $440 on avoidable spending in the last year – this equates to a staggering $4.4 billion as a nation!” says Lamont. With the Australian dollar floundering in some parts of the world, poor exchange rates came in as the second most expensive holiday money leak, with those affected losing an average of $250 in the last year. Despite medical treatment expenses affecting just 7% of travellers in the past year, it was found to be the third most expensive travel money leak, with those hit with medical bills paying a whopping $916 on average. However, Mozo’s research found that many Australians are on the front foot when it comes to plugging this money leak with more than half of international travellers researching travel insurance before their holiday. “When it comes to cutting down on travel costs, researching your destination and investing in crucial travel insurance is going to save you money in the long run. While no one likes to think about accidents and injuries abroad, medical bills have the potential to run into the hundreds of thousands of dollars in countries like the United States,” says Lamont. Overseas ATM charges were found to be the most common holiday money leak with 40% of overseas jetsetters being slugged with a pricey overseas ATM fee in the past year. One third of international holidaymakers say they lost money from poor exchange rates, while fees for using a credit card abroad rounded out the top three most common holiday money wasters, affecting just over a quarter of travellers. More than three quarters of travellers say they don’t research their card provider’s charges for withdrawing cash from an ATM before their trip, yet are twice as likely to research their carrier’s luggage allowance rules. Around 55% of travellers are neglecting to research local exchange rates. When asked what kind of traveller best describes them, just over a third of Australian travellers say they have every detail of their trip planned out months in advance of their departure date, while 6 in 10 travellers say they plan elements of their trip like flights and accommodation while being spontaneous with other elements. 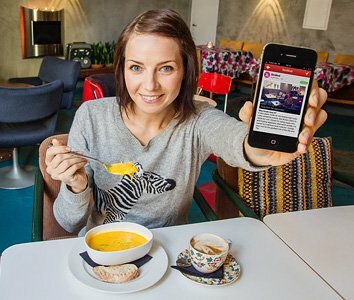 Eat like a local: Avoid the tourist tax in restaurants and cafes in the main tourist districts by asking for recommendations from locals or consulting food blogs. Hit up the grocery store for snacks in between meals and don’t forget to take advantage of complimentary hotel breakfasts and happy hour. Find the right plastic: Look out for prepaid travel and debit card options that don’t have a purchase fee and allow free overseas ATM withdrawals, like NAB’s Traveller Card or Citibank’s Plus transaction Account. Get a travel friendly credit card: Credit cards can be an effective way to spread the cost of a holiday but most banks charge about 2-3% on overseas card payments. You can avoid these extra charges by packing a travel friendly credit card that doesn’t charge international transaction fees on purchases like 28 Degrees Platinum Mastercard.